It’s always good to have things you’re looking forward to doing. You want to have projects in the pipeline, ideas being hatched, and plans afoot. Otherwise, life can get pretty tedious. Sometimes I worry that in the future I’ll run out of projects and get bored with the farm. That once our cottage is built and we start staying at the farm for several days at a time, I might run out of things to do. So it was very nice and reassuring to visit a farm that’s been running for the past 35 years. The owner bought his property so he could indulge in his hobbies. He has had many different hobbies over the years. It was great to see the level of excellence that he put into every hobby. Even more great to see that after 35 years, he has even more projects lined up and is still excited about visiting his farm. 1. Taking better pictures of our resident Grass Owls. 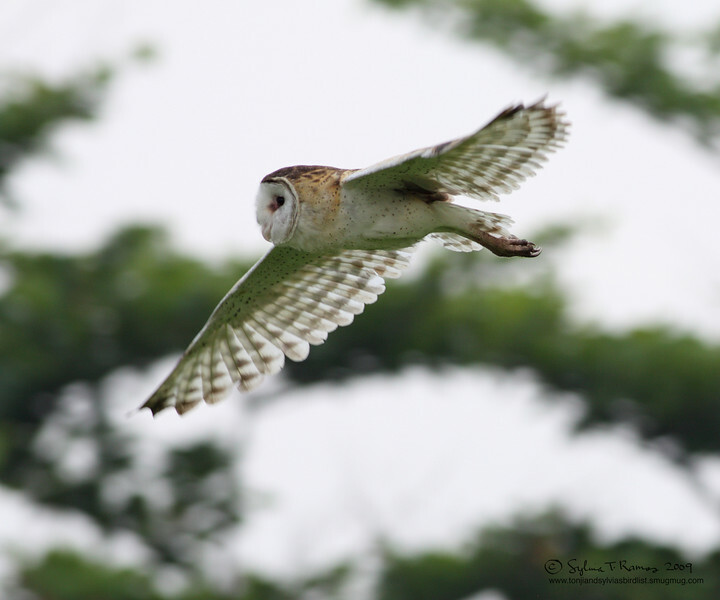 This is a photo of a Grass Owl that I took, but not in the farm. And here’s the one from the farm. It was close to sunset. The husband and I were walking towards the car. I stopped in the middle of this field to remove some burrs that got tangled in Momo’s fur when an owl came up and flew towards me! I snapped a few shots with the Lumix, and got this blurry shot. I’m excited to bring my real birding rig to the farm and get better shots! 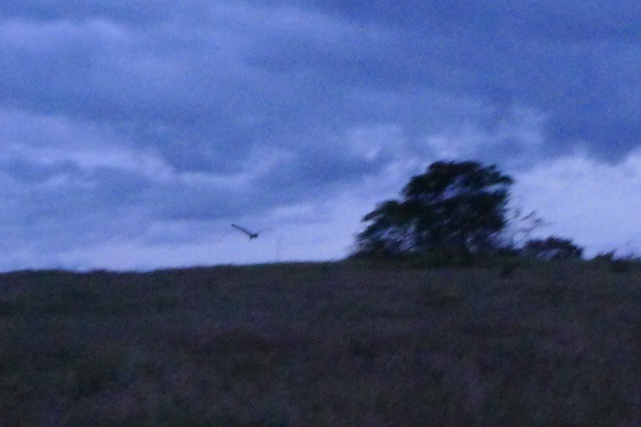 That’s an owl to the left of the tree. Really, it’s an owl! 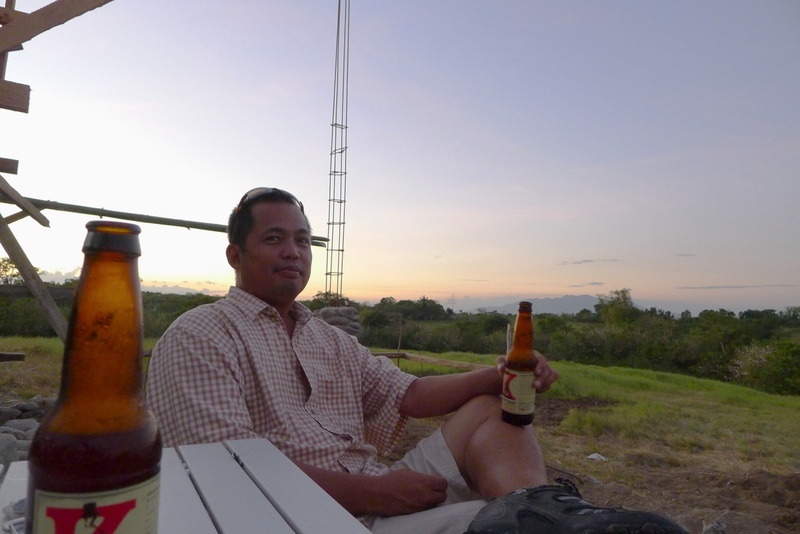 Enjoying a Philippine craft beer. This is at our construction site at the end of the day after the workers have gone home. We’re building a tiny stone cottage next to the horse pasture. Right now we just imagine how nice it would be not to have to drive all the way to house at the end of the day. Having a cottage will also mean that we have a real bathroom the farm! And then we can invite people over! 3. Trees and More Trees! Look at this picture! In just 6 years! 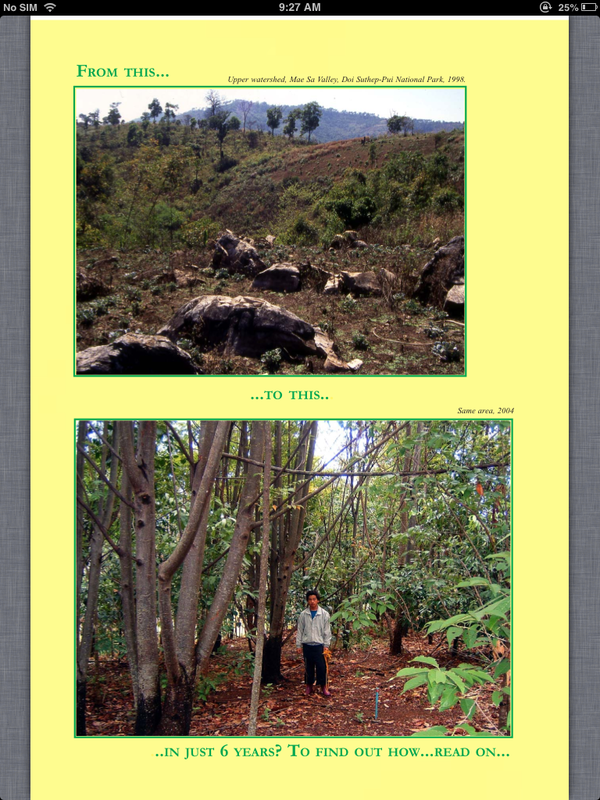 This is from this book, which can be downloaded for free from the Forest Restoration Research Unit website (FORRU). 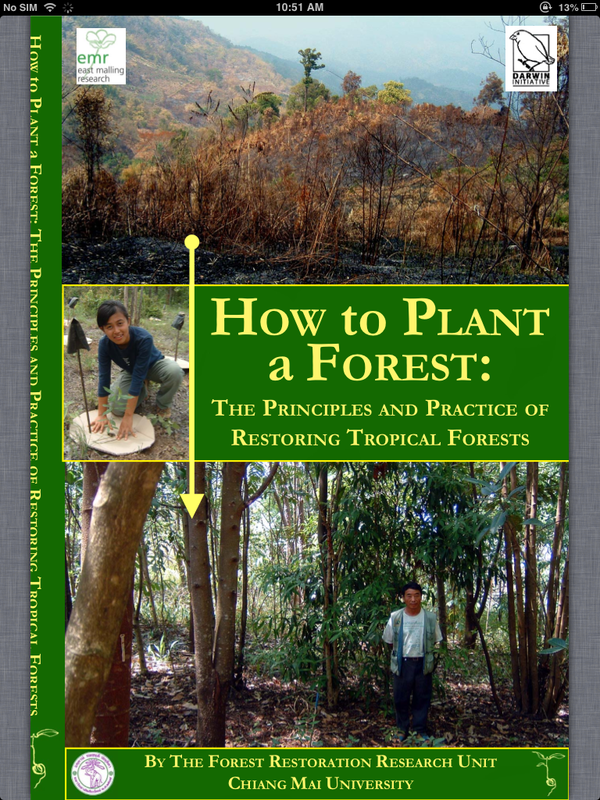 I am reading this book now and hope to put their techniques into practice. For some reason, I did not see this when I visited the FORRU website before! Argh! These are the step-by-step instructions that I was looking for a few months ago! Well, better late than never, no use crying over spilt milk and just keep looking forward!